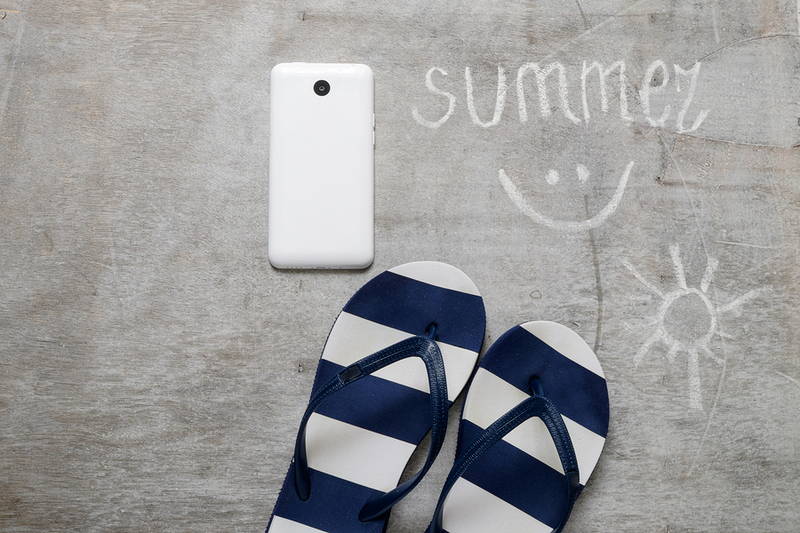 It’s summer travel season—also known as summer lose-your-device season. Asurion estimates that 18 million phones will be lost, stolen, or damaged this summer alone. If you’re like 83 percent of people, your phone is an important part of your travel experience. You might be storing boarding passes or confirmation numbers on your device, using your phone’s camera, or even depending on mobile payment while you’re on the road. And then there’s the good old-fashioned text or phone call to stay in touch. All of those things go out the window if your device is lost, damaged or stolen. What might be a mid-level annoyance while you’re at home can totally derail travel plans, though. Make sure your device is protected while you’re on the road, so you can stay connected and keep on schedule! If you don’t need it, don’t bring it. Don’t carry unneeded electronics when traveling or touring the town. Use hotel room safes when possible. Put tablets and other electronics in the safe when they aren’t in use to protect them from damage, loss or theft. Double-check your surroundings when exiting public transportation. Lots of phones are left in cabs, planes and buses, so check the seat, seat back pockets and floor one last time before leaving. Don’t leave belongings unattended in public spaces. Avoid leaning backpacks, bags and purses against a chair or over the back of a seat—that can give potential thieves easy access to the valuable electronics inside. Get a good carrying case, and use it. Store portable electronics like cameras, phones and tablets in a sturdy case when they aren’t in use. This will help protect against scratches, dents and water damage. If those things fail, protect against the worst-case scenario with a protection plan from Asurion to ensure your device can be quickly repaired or replaced. Check with your wireless carrier or retailer to make sure you’re covered!